For some Virtual machines you don’t want to run them on the same hyper-v server in a cluster. sys you have a two node cluster and running two DC’s you don’t want to run the VM’s on the same hyper-v box. 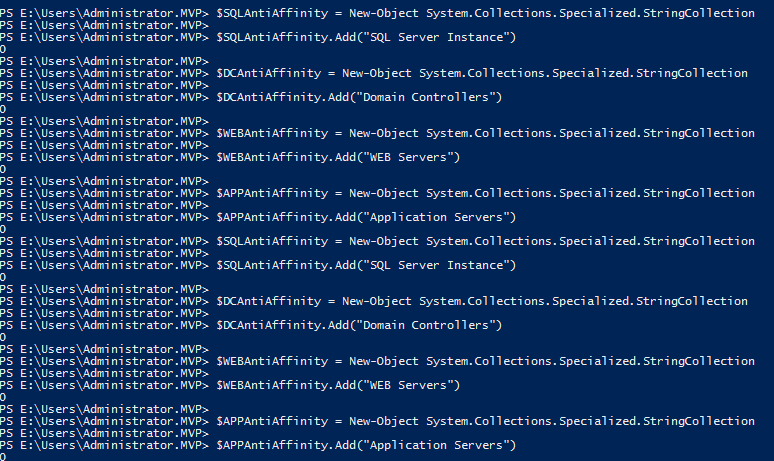 With anti-affinity you can prevent this that both VM’s are running on the same box. But this is not the same as preferred owner. 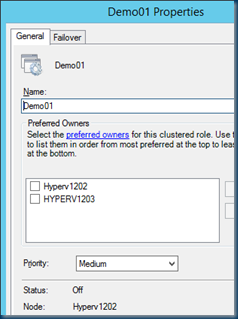 With the preferred owner you prevent that the VM will failover to a other Hyper-v host. If the hyper-v host is failing so are all the VM’s on this host there will be no failover to an other Hyper-v host. 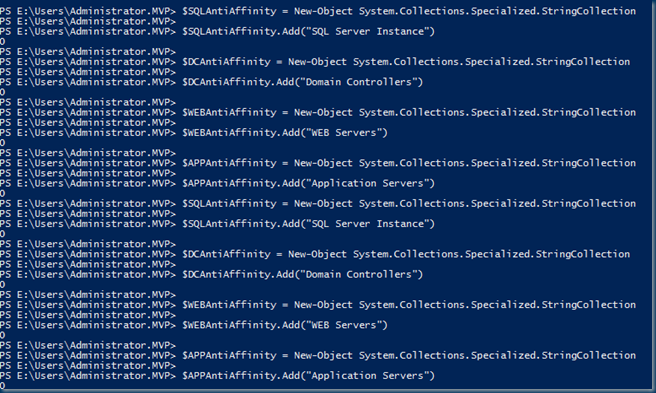 With the anti-affinity you create a “rule” that says he these two VM’s or cluster roles may never be seen on the same hyper-v host. unless there is no other way. but there is no GUI option for this. 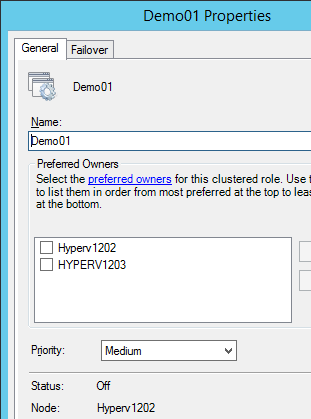 PowerShell only and this need settings on all your hyper-v nodes in the cluster. Currently there are no rules in place. I create several groups names SQL,VM,DC,APP now I know what machines I can place in the groups. The last part is assign the VM to the group.